» The Mystery Ranch Gunfighter/Crest Mountain Pack Review! The Mystery Ranch Gunfighter/Crest Mountain Pack Review! Tactical backpacks offer the everyday adventurer a very attractive alternative to standard hiking or trekking backpacks. Not only are these packs rugged, heavy-duty workhorses, they offer a far more convenient design that makes them wonders of versatility and suitable for a wide variety of backcountry pursuits — fishing, hunting, hiking, kayaking, geocaching, landscape photography — and also the usage in more “civilized” environments. A quick Amazon search will reveal that there are literally tens of thousands of tactical backpacks on the market, each with their own benefits and drawbacks and a multitude of specs, features, and design features that either increase or decrease their suitability for each would-be user. As such, choosing the best one for your needs isn’t easy. In fact, just creating a shortlist can turn into a bit of a marathon. When that time comes, however, any list is sure to be incomplete without at least one item from the wonderfully badass-backpack-maker brand Mystery Ranch, a little-known company with big ambitions and range of high-performing, incredibly well-made packs that put most of their EDC competitors to shame. In this article, we’re going to be taking a casting an eye over the Mystery Ranch Gunfighter to see just how it compares to these competitors in the field of Everyday-Carry tactical backpacks. We’ll start off with a look at all the various specs, features, and other factors that go into the makeup of a great tactical backpack before then getting down to a review of the Gunfighter itself. Why Choose a Tactical Backpack? Appearance – Civvy-Style or Camo-Style? There are a number of benefits to be had by choosing a tactical or military-style backpack over a standard hiking backpack. The most obvious of these are a compartmentalized design, MOLLE compatibility, versatility, and — in most cases — an upgrade in both ruggedness and durability. Maybe the most important of these “special features” is the sophisticated organizational options that are comprised in a tactical pack’s wealth of interior compartments and pockets, and exterior storage options in the form of further pockets, gear loops, and MOLLE webbing. While regular hiking packs usually feature a single, large central storage compartment, tactical packs split their overall capacity between a number of “zones”, pockets, or compartments that allow you to organize your kit a lot more effectively, thus saving you a lot of rummaging around for gear items you need to access quickly. The storage capacity you need from your backpack will vary depending on the season and what you plan on using it for. As a rough guide, however, a pack with anything between 15 and 30 liters should be big enough to carry all the gear you need for a day trip year-round. If you’re planning on an overnighter, however, we’d recommend choosing a pack with a minimum of 25 liters of storage and close to the 40 marks if you’re carrying camping gear to boot. When deciding what capacity of pack you need, bear in mind all those external storage possibilities mentioned above — some tactical packs offer enough to let you carry almost as much on the outside of the pack as you do inside, meaning the interior can be kept for clothes and other items you want to keep clean and dry. 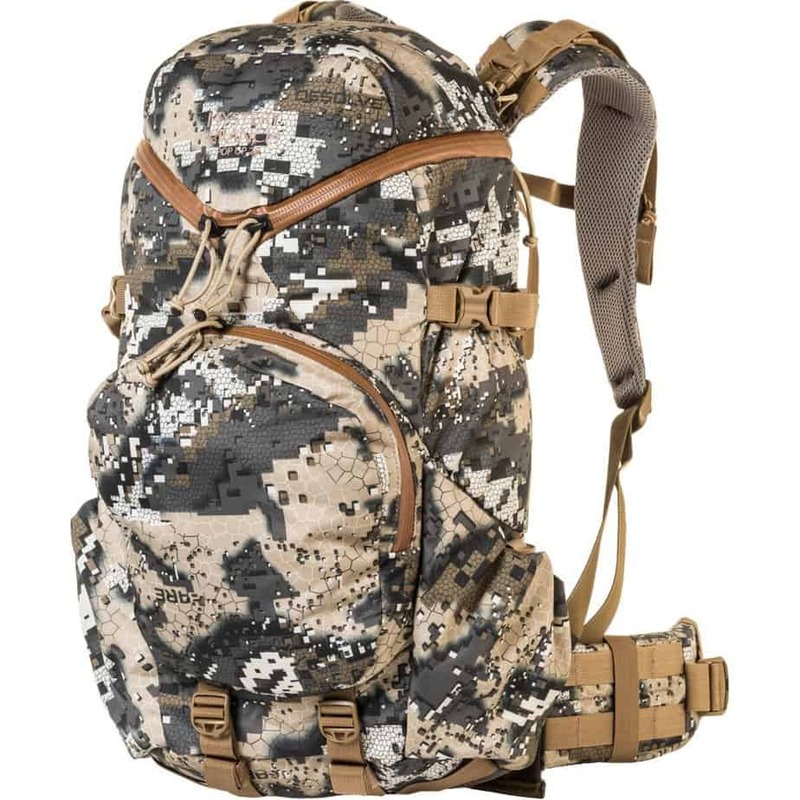 Many cheaper models of tactical pack scrimp on the quality of their materials and other finer details like double stitching and robust, durable zippers and clips in order to keep costs down. 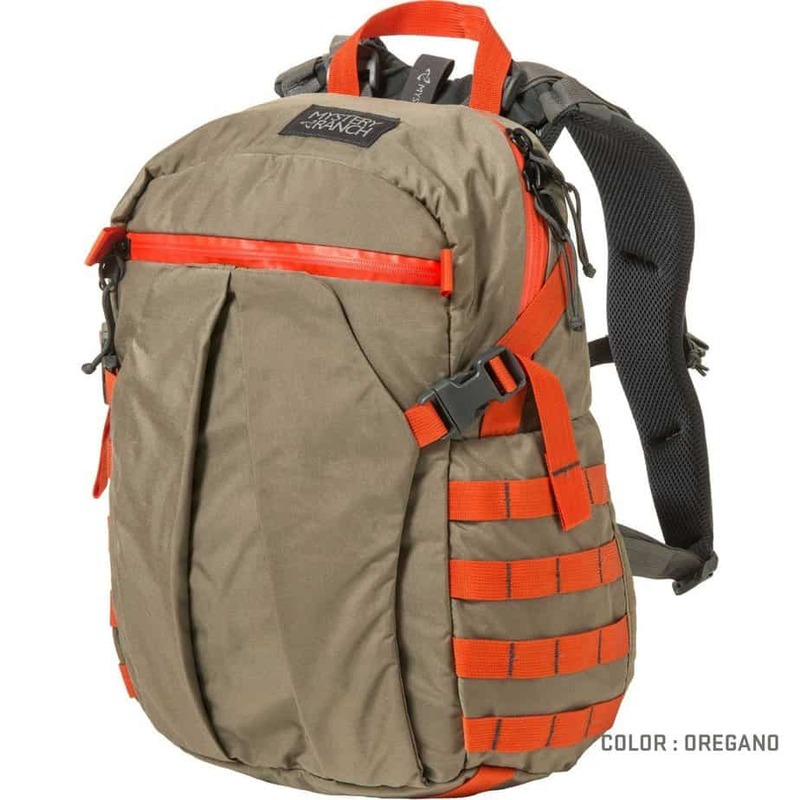 If you plan on having your pack for a long time, however, or foresee putting it through a little bit of rough treatment while out on hikes or other outdoor pursuits, we’d highly recommend opting for a pack with tough Cordura, ripstop fabrics between 300 and 500 deniers, a reinforced bottom/base, YKK zippers, and double-stitching. While most trekking or hiking backpacks either use waterproof fabrics in their construction or are treated with a durable water-repellent (DWR) finish to help them fend off the elements, many tactical pacts forego waterproofing in an effort to concentrate their weight and performance on other features. While this potential issue can be remedied with the purchase of a cheap backpack rain cover, if you’re spending a large whack of $ on your pack then waterproofing is one feature you have a right to expect — if any pack you’re considering doesn’t have it, ask exactly what you’re paying for before making the purchase. None of the other features mentioned above and below count for very much if a pack doesn’t score high in the comfort stakes. The factors that contribute most to a pack’s comfort are ample cushioning on the shoulder straps, the back panel, and the hipbelt, solid breathability and ventilation, and frame or torso length. The absence of any one of these factors alone is unlikely to be a dealbreaker or cause too much discomfort on short hikes with light loads. 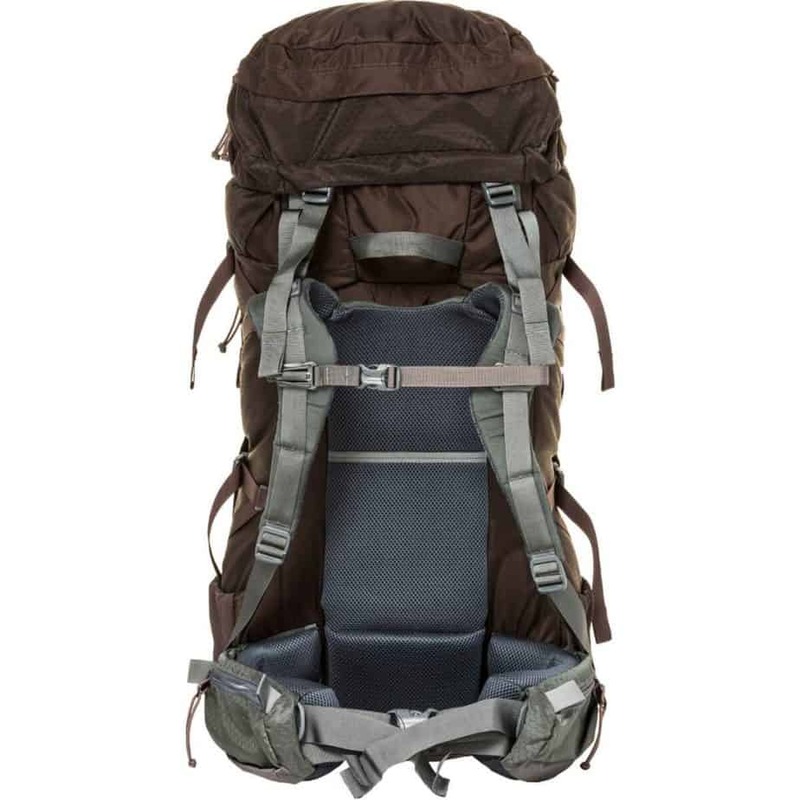 If more than one is missing or you’re likely to be carrying heavier loads over longer distances, however, then your pack could easily become an instrument of torture that will have you back online or in the store searching for something more suitable. When buying, therefore, take care to read user reviews and look for adequate cushioning in the key areas where the pack is in contact with the body — the base of the back, the hipbelt, and the shoulders. With regard to ventilation, look for a suspended mesh and/or molded foam back panel that creates air-flow channels between your clothing and the frame of the pack, otherwise, you’ll be in for a fairly sticky stroll. One of the key advantages in choosing a tactical backpack over a “civvy” or hiking backpack lies in the formatting of the pack’s storage capacity. 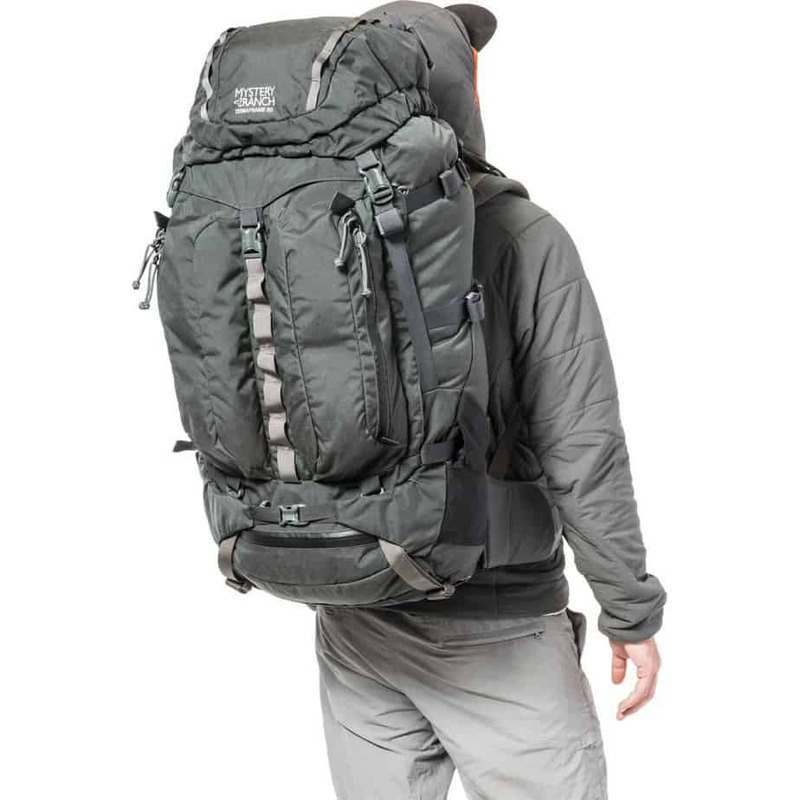 While standard hiking packs tend to consolidate the vast majority of available volume in a large central well or compartment, tactical packs usually divide their overall capacity into a number of smaller compartments, sleeves, and pockets. 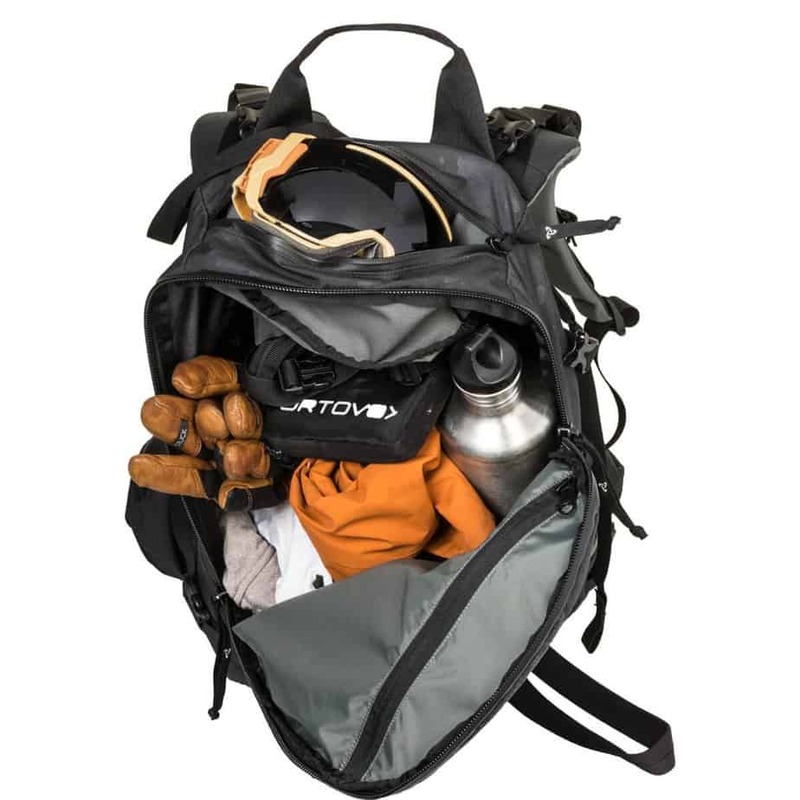 This not only allows you to keep different items of your gear separate — wet and dry, sharp and rip-prone, breakable and non-breakable etc — but also increases efficiency by allowing you to improve organization and, as such, locate things quickly and/or without having to remove the rest of the contents of your pack. External pockets: A couple of external pockets will allow you to make certain gear items more readily accessible and save you time over the course of a trip if they are things you need to access frequently. This storage option also means you have the choice of keeping items like water bottles or potentially smelly sandwiches separate from your pack’s main (and dry and odor-free) contents. Laptop sleeve: If you happen to plan on using your pack around town as well as out in the backcountry, this handy little feature will help keep your (probably) most prized pack contents safe and dry when moving from A to B. When buying, check the sleeve has adequate padding and the base starts an inch or two above the bottom of the pack so as to provide an added buffer against bangs and bumps when setting the pack down. Chest Strap: Negligible as it may seem, a chest strap can have a big impact on a pack’s comfort levels and stability. Without a chest strap, a heavier load will shift around on your back, possibly leading to chafing, or, at the very least, will become the source of a quite serious discomfort and no small amount of exasperation. In essence, a chest strap helps to centralize your load and keep the weight fixed over your center of gravity, thus improving not only comfort but also balance and stability. Hydration Bladder Compatibility: While not everyone is endeared by the idea of using a hydration bladder, there’s no doubting their utility and the benefit of at least having the option at your disposal in a backpack. Not only will a hydration sleeve help you keep your H20 separate from gear you’d prefer to keep dry, using it will free up space in exterior water-bottle pockets and allow you to hydrate without having to stop, off your pack, and then fish out your water bottles. For hikers, in particular, this one’s highly recommended. Front Loading: A front-loading pack has one significant advantage over a top-loader: easy access. We all know how frustrating it can be to dig through all our squished up gear while hunting for that one item that seems to have vanished entirely but inevitably turns up right at the bottom of the pack. 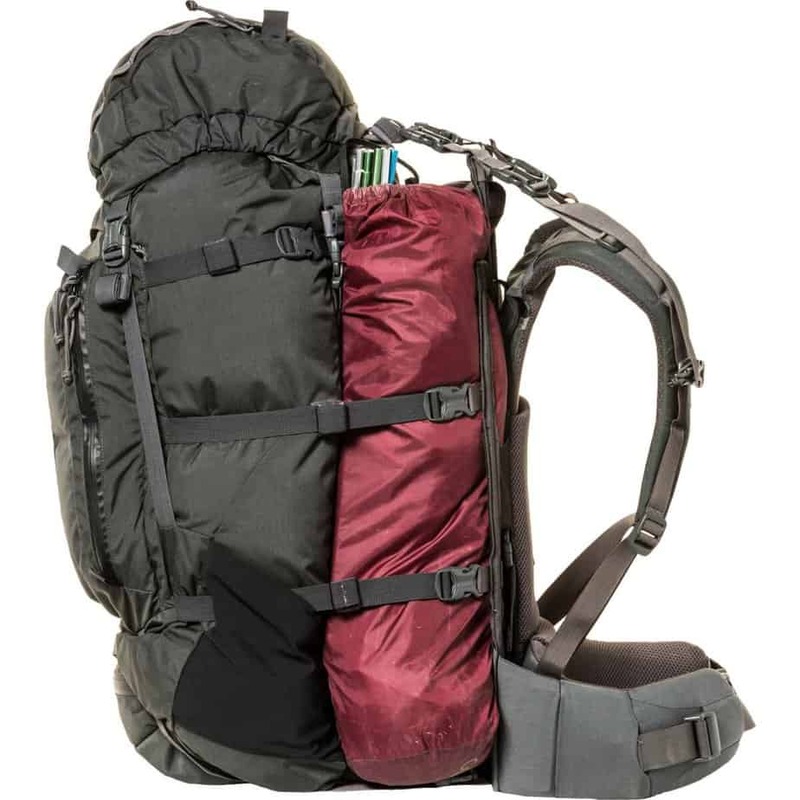 With a front-loading pack, these frustrations are pleasingly side-stepped due to both the size of the opening and the fact that more light can enter while you’re getting your rummage on. Additionally, loading and unloading a front-loader is much easier and will likely save you at least a few precious minutes should you have to do either in a hurry. MOLLE Compatibility: MOLLE-compatible packs use webbing or mesh strips that allow you to attach compatible gear items to your pack’s exterior. This not only means you can increase the amount of gear you can carry but also allows you to place items you use more frequently where they can be easily accessed. 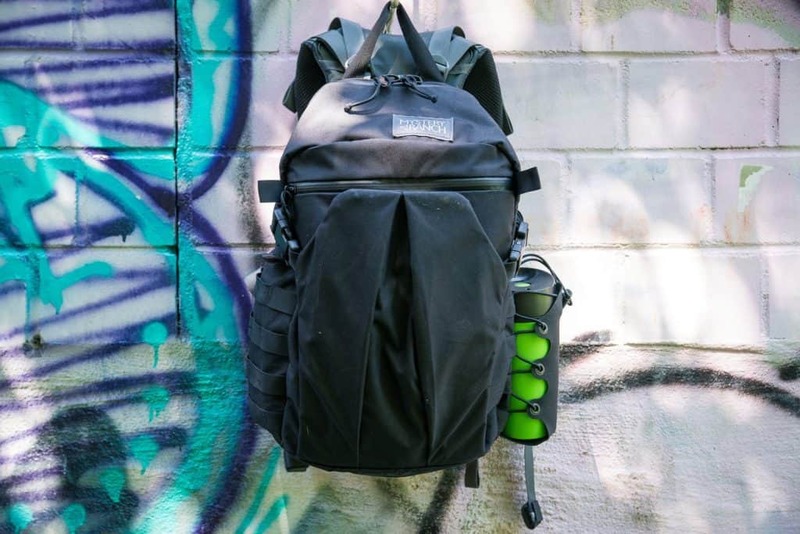 While most potential backpack buyers aren’t expecting to win any awards for fashion, the appearance of your pack is another point worth considering. Some tactical packs use canvas and leather inserts to offer a more classy, old-school look; some more neutral models wouldn’t look out of place in the average corporate office; others look like they’ve just returned from or are preparing for a military tour. While your own personal tastes will naturally prove to be the deciding factor, it’s worth considering where and when you’d like to use the backpack. If you want one bag to take everywhere, then a more neutral-colored pack is more likely to do the job and save you scaring the living daylights out of your colleagues at work or neighbors. 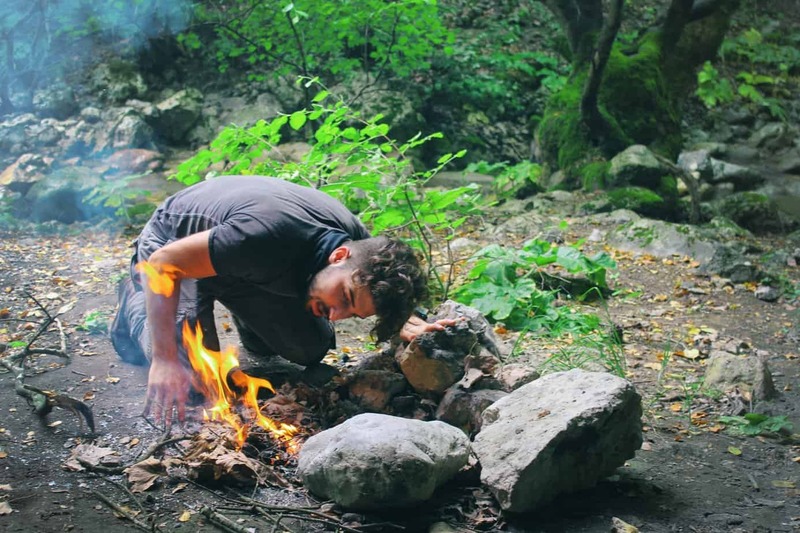 If you see yourself doing more in the way of hiking, fishing, hunting, war games, or paintball, then going down the camouflage route might be a better bet (and, of course, make you look distinctly more badass!). What am I getting in return for my additional outlay? What am I missing out on by making these savings? Am I compromising on any, key-must-have features? Am I paying for features that aren’t essential to my needs? Now that we know what to look for in a top-performing tactical pack, let’s get down to business with a closer look at the Mystery Ranch Gunfighter. 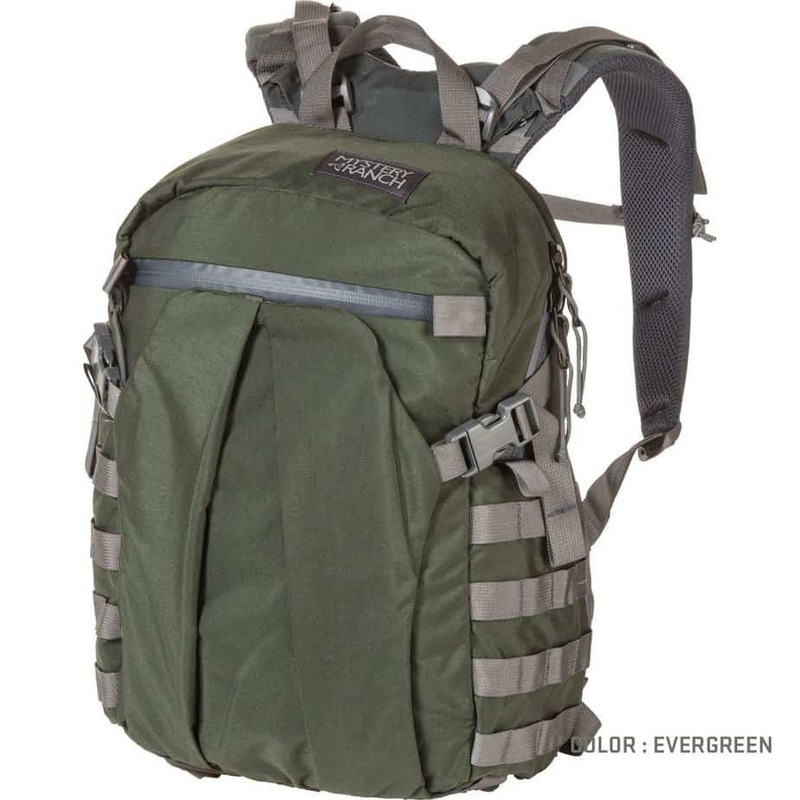 At 22 liters, the Gunfighter falls distinctly into the “daypack” category of tactical backpacks. While most of this capacity is used up on the large central well, the interior of the pack also boasts a laptop sleeve, hydration bladder sleeve, and numerous smaller compartments and zippered pockets, thereby offering you plenty of storage options for kit of all shapes and sizes. Given the pack’s lofty price tag, we would have liked an extra few liters of capacity, but this slight failing is offset by other endearing features mentioned below. Where the Gunfighter — and, indeed, any Mystery Ranch pack — wins points over the vast majority of its competitors is in the materials used and the quality of build. From the moment you get the Gunfighter in your paws, you know you’ve got them on something that’s built to last and far superior to the vast majority of cheaper models aimed at the same slice of the market. The 500D Cordura is an upgrade on the materials used in most other tactical daypacks and definitely inspires confidence. The water-resistant PU and Teflon finish used in the Gunfighter is capable of dealing with the occasional light rain shower. Given the pack’s price, however, we would have liked a more reliable DWR finish and maybe even a waterproof membrane of some sort to give us more peace of mind on those iffy days when we’re not sure if this pack will cut it or we need to return to our gear cupboard for something a little more “bombproof”. As mentioned above, this problem can be circumvented by picking up a cheap rain cover or applying a DWR treatment yourself but paying this kind of price you expect these minor hassles to be taken care of for you at the production point. Despite the lack of any padding on the hipbelt, the Gunfighter is a very comfortable pack owing to the use of plenty of cushioning in the back panel and on the shoulders. Given that the max capacity of the pack is 22 liters, unless you’re filling it with lead then the shortage of padding around the hips shouldn’t be an issue! The Gunfighter offers a fairly standard array of storage pockets and divided “zones” on the interior, boasting a laptop sleeve, three zippered pockets, and admin pocket, and a further duo of sleeved compartments against the frame. Although the admin pocket isn’t as nuanced as many others we’ve seen (no pen slots, for example), one feature we really appreciated is the configuration of the laptop sleeve, which is reasonably well padded and stops around two inches below the base of the pack, meaning that when you set the pack down the chances of damaging your laptop are significantly reduced. External pockets: The large “stick-it flap” on the exterior allows you to add in the region of 8 liters of storage on the front of the pack. On the downside, the lack of mesh water-bottle pockets means using either the stick-it flap or interior space for water storage if your water-bottle holder is not MOLLE-compatible. Laptop sleeve: Nicely positioned so as to protect your laptop from bumps and bangs when you set the pack down. A small change from other EDC packs that makes a big difference to anyone nervous about the welfare of their pack’s most precious (and pricey!) contents. Chest Strap: In short, the box is ticked! The Gunfighter’s chest strap isn’t padded but uses a burly clip and is positioned nicely so as to consolidate the weight of the pack where it should be. Hydration Bladder Compatibility: Check! An internal sleeve can hold a 3-liter hydration bladder. A protective “lip” over the rear-access zipper allows you to thread the bladder’s tube through to the shoulder strap without worrying about exposing the contents of your pack to the elements. Front Loading: Although a top-loader, the opening on the Gunfighter is wide enough to give you a clear view of every nook and cranny and the rear-access zippers allow you to grab your laptop without disturbing the rest of the contents of the pack. MOLLE compatibility: While the Gunfighter doesn’t boast as many MOLLE loops as on many tactical packs, it features a handful of MOLLE strips on either side that allow for about as much external storage as you’d be willing (or wise) to use with a 22-liter pack. The Gunfighter’s military olive-type coloring allows it to bridge the gap — or sit on the fence — between an out-and-out camo pack and a more neutral EDC pack that’s suitable for work and more formal environments. Both of the latter options are also available. When any gear item is made with as much care, attention to detail, and quality as the Gunfighter, there’s always a chance that its price tag is going to cause a bit of a gulp on the first inspection. The only issue we have with this pack with regard to value for money is that the gulp was a little too large for what we were getting in return. To fully justify the cost, we would have liked a few more frills (external mesh pockets and more reliable water resistance or a built-in rain cover, for example) and an added liter or two of storage. That said, if you happen to be flush and want a pack that’s sure to last you a very long time, the Gunfighter still deserves a place on your shortlist of potential future EDC packs. In a niche of the EDC market that is glutted with hundreds of examples of cheaply made, low quality, or otherwise uninspiring products, the Mystery Ranch Gunfighter stands as something of an anomaly. 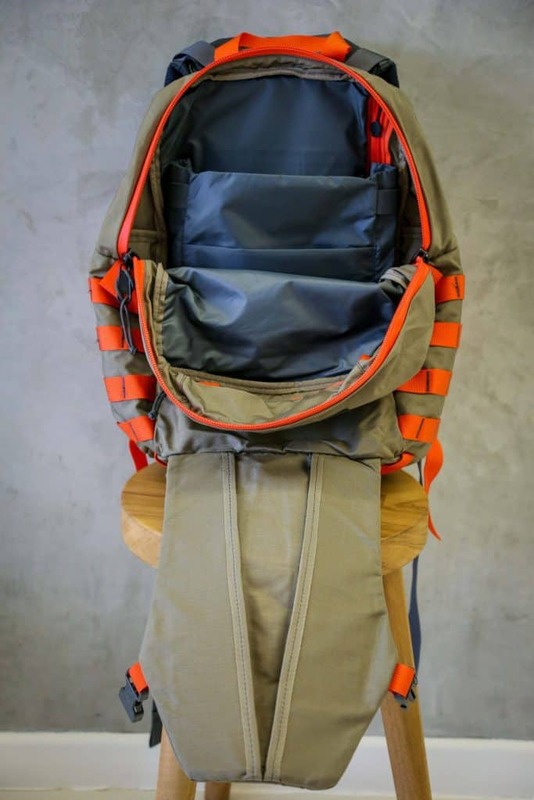 This pack ticks pretty much every box there is to tick in style and boasts a quality of build that should leave other tactical backpack manufacturers blushing in embarrassment. There’s no getting around the fact that this is an expensive product, but what you get in return for your outlay is a pack that’s tough, reliable, and built to last a lifetime. In terms of features, the Gunfighter has a lot of hits and just a few misses. Given the price, we would have appreciated a few mesh pockets and little more cushioning around the hipbelt, but these failings are more than adequately compensated for by the pack’s almost peerless durability, intuitive and user-friendly design, efficient compartmentalization, and general lack of the standout dealbreakers that we tend to come across in so many tactical packs. In short, if you’ve got money to burn, you’ll be hard pressed to find a better-made, more functional, and harder-wearing EDC backpack than the Gunfighter.